The School of Leadership is a leading institute focused on research & development in the area of behavioral assessment, post training measures and developing new experiential learning modules. After successfully developing “BOOM” assessment tool, TSL has done further research and developed the second version of “BOOM” assessment, which is again an activity-based assessment. Certified assessors can how procure assessment kits from TSL and conduct anywhere in the world. The unique feature of “BOOM” assessment center tool is that it is well quantified and that assessors do not make judgmental bias. The results are fed into software that generates reports based on the person’s age, domain and overall experience, demographics, industry etc. The reports compare with similar patters with others in the industry so that the assesse has a better understanding of his/her behaviors. Experiential learning is a process through which a learner constructs knowledge, skill, and value directly from an experience within the environment. Experiences are structured to require the learner to take initiative, make decisions, and to be accountable for the results. The results of the learning are personal and self constructed so that learning lead to future experiences. Activities and simulations undergo constant up gradation with every program. TSL's constant research and designs of professionally developed programs have reflective processes involved. These outcomes promote better construction of such experiences in the future and contribute to the research base of these programs. 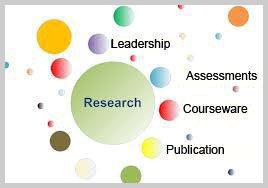 TSL's research also involve professionals in open and dynamic discussion, mutual problem solving and collaborative learning to draw the participants into a community of learners or professional cohort and contribute to a deeper understanding of the concepts and content expressed during the experience. TSL aims to develop simulations for every established theory so that learning is long lasting. TSL is one of the few institutions that advocate organizations to calculate return on investment (ROI) on training programs conducted. TSL has developed various formulae that help them arrive in calculation ROI for a specific program. Research was conducted with over 600 professionals who have been working with an organization for more than 2 years. The research objective was to check if their organizations were using Kirkpatrick model or evaluation or JJ Philip’s ROI model. A further research was conducted with Learning & Development (L&D) managers to evaluate how they spend the L&D budgets on behavioral training programs. Based on this research, various formulae were developed which can help organizations to calculate ROI more accurately.